(SPOT.ph) Remember some sort of Twitter war was launched against an international teenage singing sensation because the teen pop star posted mocking photos of a Filipino boxing hero right after his crushing defeat? How about the Amerasian actress who "doesn't want to look Filipino" incident? Or when we cried foul because a Hollywood actress said Manila was infested with rats and cockroaches? Maybe it is a matter of us Pinoys defending the national pride. But here's a thought: What if we're just being too sensitive? Funnily, a recent global poll revealed that Filipinos are the most emotional people - ranking higher than El Salvador, Bahrain, Oman, and Colombia*. Are we too sensitive for our own good? Maybe. And surprisingly, we're not just talking about emotions here. In a consumer survey conducted, results revealed that 7 out of 10 Filipinos* have sensitive teeth - a condition Pinoys often refer to as pangingilo. What most of us don't know is that the problem of dentine hypersensitivity adversely affects our quality of life. In a study** conducted by professionals from the University of Sheffield and University of Toronto, "The everyday impact of dentine sensitivity: personal and functional aspects," they observed that "people who believe they are disabled by their pain feel damaged in some way and avoid certain activities. Such conditions increase impacts on daily living." Dentine Hypersensitivity is an unnecessary suffering, a condition that negatively impacts the quality of a person's life. It is time we put to the fore this condition and start discussing how this extremely distressing yet avoidable problem can be addressed. 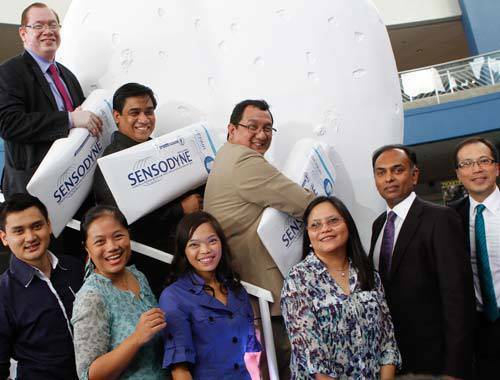 Taking head-on the mission to combat this condition, GlaxoSmithKline, a global consumer healthcare company, with its Sensodyne toothpaste, intended to combat dentine hypersensitivity, has launched a new kind of people power. 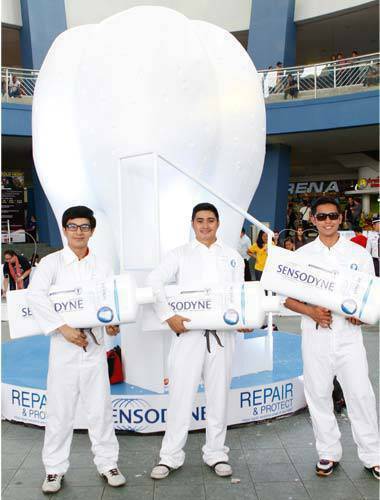 With the support of Sensodyne, around 2,000 dentists from across the country converged to commit towards defeating dentine hypersensitivity. 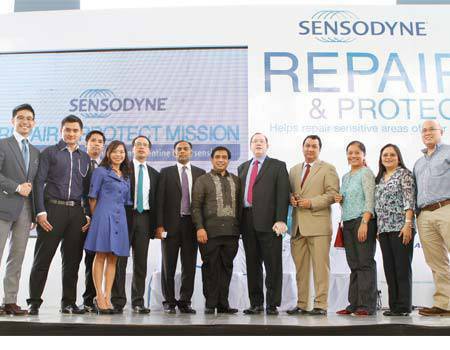 This was culminated in the event held last February 15 at the SM Mall of Asia entitled "The Repair and Protect Mission: The First and Largest Nationwide Fight Against Dentine Hypersensitivity." The event kickstarted a nationwide campaign to educate more Filipinos on proper oral hygiene, focusing on the use of effective tools to address pangingilo. 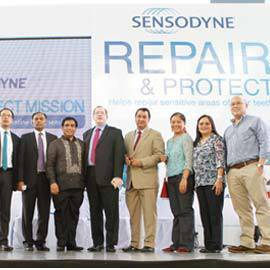 "We want people to know that nobody has to suffer because of dentine hypersensitivity. With the help of their dentists, and the use of the right oral care product, Filipinos can overcome pangingilo," says Sep Cimafranca, Senior Product Manager for GlaxoSmithKline Philippines Consumer Oral Care. Today, sensitive teeth, tomorrow other things: Filipinos will soon solve the issues, one step at a time.